The Club Sport line is designed for the serious Club racer and high performance street driver. This ultimate suspension system is by for the finest quality and best handling suspension system on the market today. Featuring remote reservoirs for superior fluid temperature control, quick release hydraulic lines (on most models) for easy installation, seperate compression and rebound damper valving adjustment and height adjustable spring perches, this kit is beyond the more common coil-over systems on the market. If your driving can benefit for the ultimate in suspension tuning, then this kit is for you. The Club sport damper is double adjustable with seperate rebound and compression controls. Each has seven adjustment levels to help you dial in for every condition you encounter. They are dependable and easy to work with, this system will allow you to use a wide range of spring rates and eliminate the worry of constant revalve every time you want to increase or decrease your spring rate; you can put them on a drive. The Club sport dampers are designed to be extremely comfortable while driving on daily roads and can simply be adjusted in a few seconds to a real race setup at the race track. When adjusting the dampers, each click is very noticable to the driver and an ideal setup is easy to find. *All Moton sets come with spring hardware, mounting bushings and camberplates. * Pictures are for representation only. Actual product may vary. *Kit does not come with springs. * Please Call for spring options! 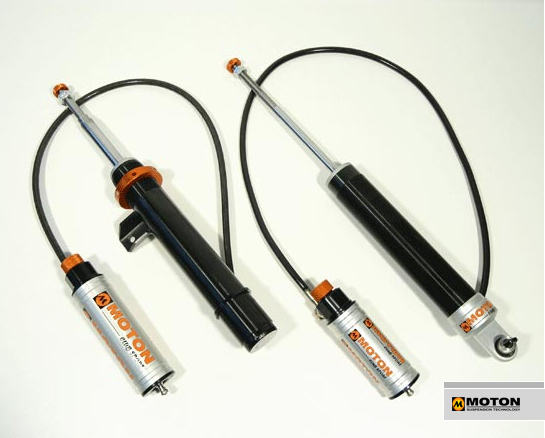 MOTON Suspension is a renowned damper brand founded in 1999 that develops, manufactures and markets a full range of high quality, state-of-the-art adjustable dampers. By 2000, 30% of the starting field in the 24 hours of Le Mans were equipped with MOTON dampers. MOTON has become a provider of high-performance shock absorbers used by many prominent manufacturers and racing teams worldwide. 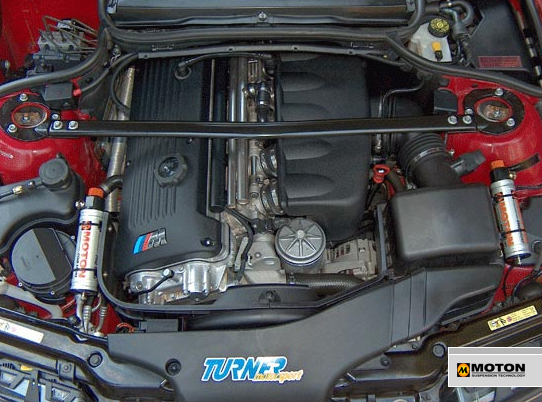 Its applications are mainly used in GT and Touring cars as well as in high-performance street cars while providing user-friendly and efficient technology. Many professional races have been won on MOTON dampers such as the FIA GT and FIA Sportscar Championship, FIA ETCC and FIA WTCC Championship, Grand-Am and World Challenge Championship, and as well as numerous National GT, Touring and Club Racing events all over the world. Moton has become a provider of high-performance shock absorbers used by many prominent manufacturers and racing teams worldwide. MOTON’s applications are mainly used in GT and Touring cars as well as in high-performance street cars while providing user-friendly and efficient technology.